Two weeks ago, Hearts On Fire announced that I was one of the two Grand Prize winners for their Share Your Story Contest. We will be receiving our choice of a Beloved or Fulfillment pendant, plus a trip to NYC for a Hearts On Fire photo shoot! I chose the stunning Beloved Pendant because it looks like a flower, and with my name being Daisy — I thought it'd be an appropriate piece to own. 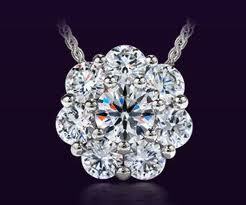 We were presented with the Beloved Diamond Pendant yesterday and took home our beautiful jewelry piece. The diamond is slightly over .55CT but it looks way bigger and sparkles brighter than the sun! The way the light glimmers throughout the different facets of the diamond were breathtaking. In fact, when I tried to take a direct photo of it – it was too sparkly to get a clear photograph. 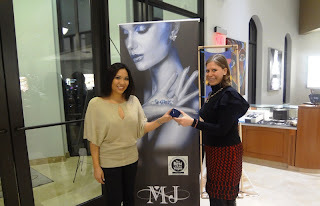 Click here to see all the photos of my experience with MJ Christensen and Hearts on Fire! *These opinions and statements are solely my own and are a review of the product I received as a Grand Prize from Hearts On Fire. Wow! That is absolutely breathtaking. How awesome is that! You are very fortunate, Congratulations!